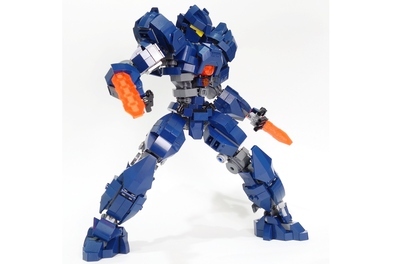 This is a good time to build a Lego Jaeger, especially with the movie named Pacific Rim comes out. 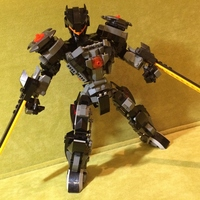 It is "Dark" Gipsy Avenger. You may wonder why I made it black. Isn't it supposed to be blue? That's because the dark color looks more powerful and cooler. This piece may not be exactly the same as the original one. I modified a little bit to make it unique. It has two chain swords. You can change one hand into Gravity Sling. 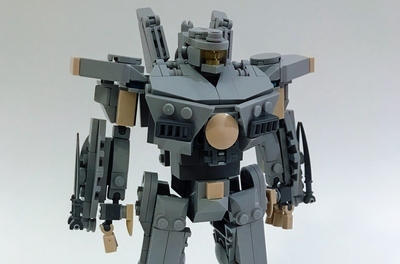 There is a stand to put the weapons on. 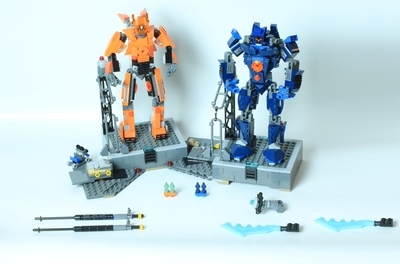 If you are a fan of Pacific Rim or Lego mechs, please vote my work.